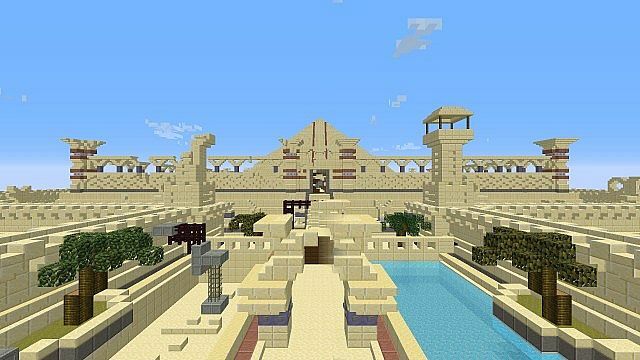 Warp Like an Egyptian is a 1.8 snapshot adventure map in which you take on the role of Agent Stitch, one of The Agency's top agents with a mission to hunt down the source of a mysterious power signal. In order to do this you will be required to not only navigate across the city, but also to navigate across time itself! Update [29.08.14] This map is possible to play in multiplayer. Just be aware that the teleport mechanic affects both players so good communication is advised to stop players getting trapped in blocks by their partners. Everything was tested for co-op so does function, just keep that communication and you'll be fine! You will be given access to the newest technology that the best and brightest boys in the lab at the Agency have been able to come up with in order to complete your mission. Good luck Agent, you're going where no Agent has been before. This map takes approximately two hours to play (at best estimate!) 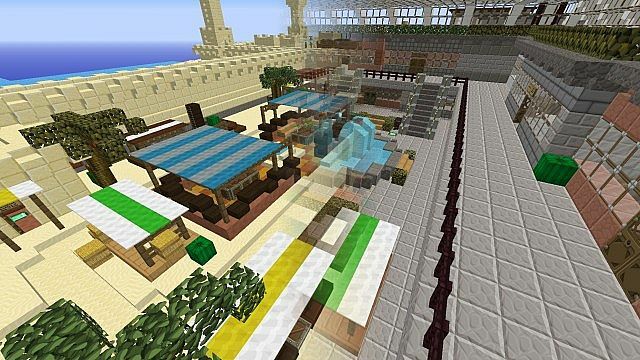 but is likely to take much longer, and utilises many of the new features coming in Minecraft 1.8. It MUST be played in snapshot 14w28b. The map also comes with a Resource Pack which can be placed in your resource packs folder in the usual manner (this isn't 100% necessary and only adds a custom credits sequence). 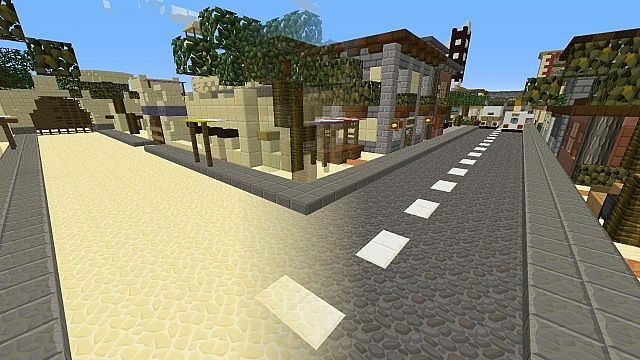 The map has been built using a Sphax PureBDCraft texture pack and it is highly recommended to play with this pack so it looks the way it was built to look. 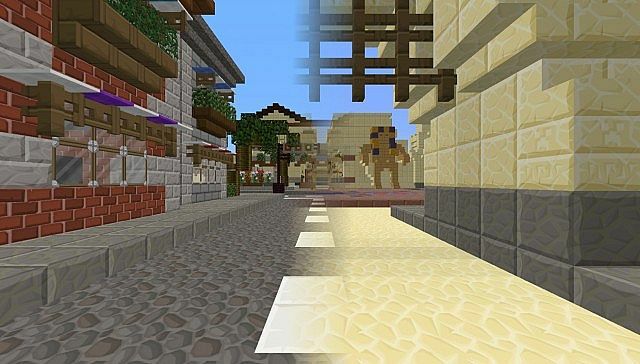 If used, The Warp Like an Egyptian Resource Pack must be ABOVE Sphax in the list. I repeat. It MUST be played in snapshot 14w28b. If opened in any version older than 14w28b the game will not know how to handle things and you will then need to download a fresh copy of the map. It may work in newer releases, but I cannot guarantee performance. There are probably ways to escape the map, there are very likely ways to cheat the map that the testing hasn't shown up. At the end of the day, if you are using these ways to exploit the map you're only going to be losing out on the experience that the map is designed to give, by all means if you find a hole or an escpae route please report it here so I can issue a fix. So many thanks are due to people who have helped in the making of this map, most notably Razu_ who has constantly been the test dummy in so many things and an immense help in the multiplayer testing. 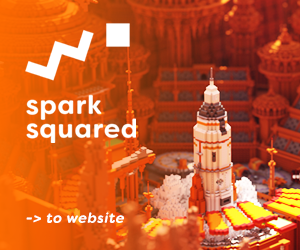 Also Dragnoz, who has provided a huge amount of command block code help. Removed all playerdata and reset worldspawn. Placed myself in the spawnroom. Then deleted playerdata again! This should fix the occasional issue where people spawned in completely the wrong area. If you still spawn in the area please let me know! If it does happen, pause the game, choose Open to LAN, then enable cheats, then teleport yourself to to 652 81 561. See the map in Action! 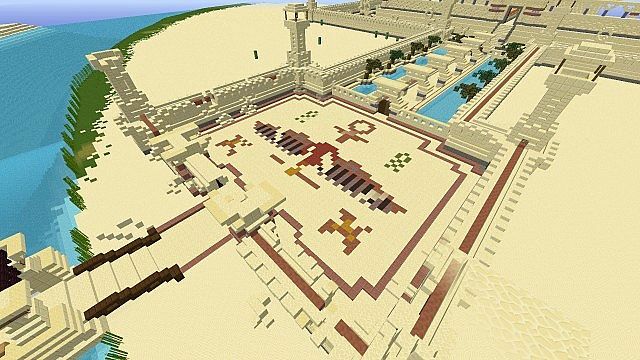 When i played this map the first time i spawned i the temple with a whole load of stuff and in creative. if you havent fixed this, please fix. Its super awesome i just got 1 little question what do i do if i accidentaly loose the time warp gel? One of the best maps ever. Diamond! Congratulations on having the yogscast play it! If I had played single player I believe I would have rated this +1 or +2 higher. We did get completely stuck at one point, and not sure what we missed - going to check in single player. This was in the tomb under the sand. Also, the 'mandatory' resource pack doesn't add ANYTHING to the gameplay of the map - it's just end credits after the story. It seems like a waste. Lastly - all of the items in the musem were on the floor, offset from their pedastals. That said - I REALLY like this map. The mechanics are great; clever puzzles, lots of variety. Favorite puzzle - the one ring. Visuals are richly detailed and consistent throughout - love the naming of items. It was fairly challenging, yet not overly so. I really liked the rope ladder checkpoints in one puzzle. The story was average. I feel like the 'agent' part doesn't really have anything to do with the bulk of the story and is only used to bookend the adventure. Not bad, but not really ground-breaking. Fantastic feedback thank you so much! I probably should have tested it in 3 way multiplayer, or maybe just advertised it as "possible in co-op" and quite possibly my testers became conditioned to things during testing. Something to be aware of on my next project! I must have put an @p in the saturation block rather than an @a - bad bug checking by me - apologies. I will have to check the tomb under the sand - a key (proxy-triggered) is supposed to spawn in there which breaks the vault door (I assume you refer to the tomb in the present not the past?). The museum floor items - were you in 14w28b or 1.8pre? I know this to be something that happened in versions after 14w28b but shouldn't have happened if it was 14w28b. I shall definitely check this though, thanks. Admittedly the story could have used more content, in many ways it does just act as a framing device for a larger experience. Again, something I will definitely be taking forward. I guess I am more of a builder than an author! I thought I had fixed the problem with the infinite blackness, and I am really sorry that this happened for you. I honestly have no idea what has happened there. Previously I had problems with people being TPed in the overworld by blocks in The End but that I took care of. I'm really sorry, thanks for flagging that up - I'll look into it again and try to find a fix, if you have any ideas they'd be appreciated! Again, thanks so much for the feedback, I am going to modify the description to take away the multiplayer element based on this. At least until I can sort out the above mentioned issues. Also thanks for retweeting this and increasing visibility for it, it really was appreciated. Yep - I really did like it, and I think in single player, with a few tweaks I'll be able to easily bump the rating up a bit! My favorite bit is the overall egyptian theme, because it's so rare and well done here. 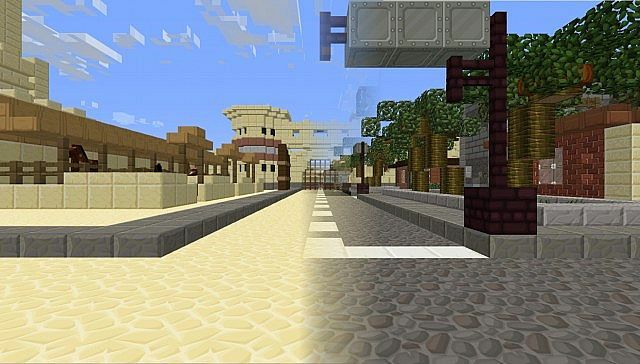 Please let me know on the minecraft forums when you put out a new map! Nice work you did there! I'm making an RPG server, if you wanna help with your build skills we can make a beautifull map!